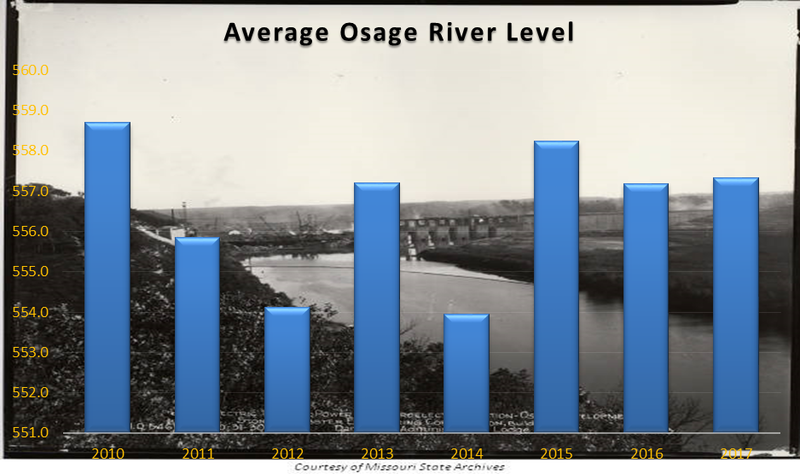 Here are the graphs for average lake levels, Osage River levels, and flow rates since 2010. 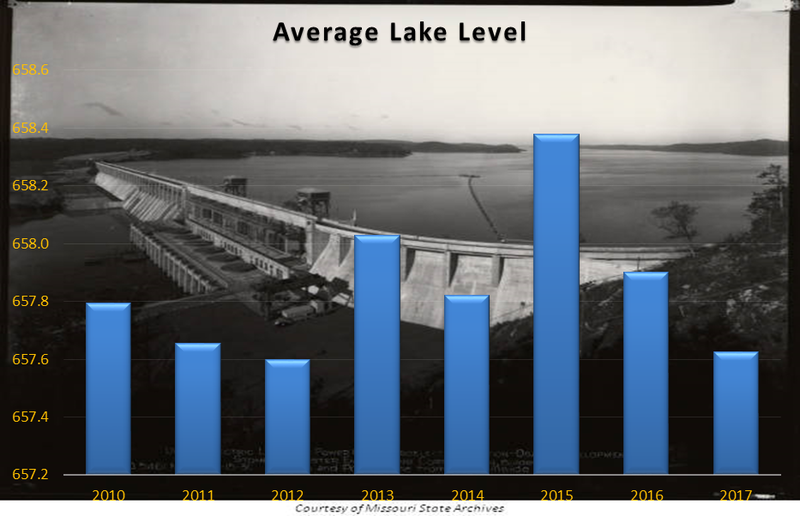 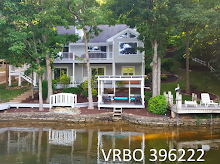 As we can see, 2015 was an exceptional year for lake levels due to flooding. Keep in mind, these are averages for the entire year as numbers for the summer months would be almost identical from year to year since Ameren does a pretty good job of keeping the lake at full pool (659-660ft) from May 31 through September 1st. 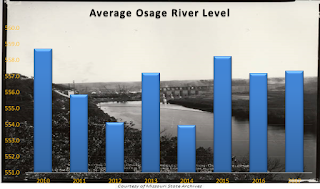 Next, for the Osage River as measured about a mile below the dam, again per annum. Finally, the average flow rate per annum. 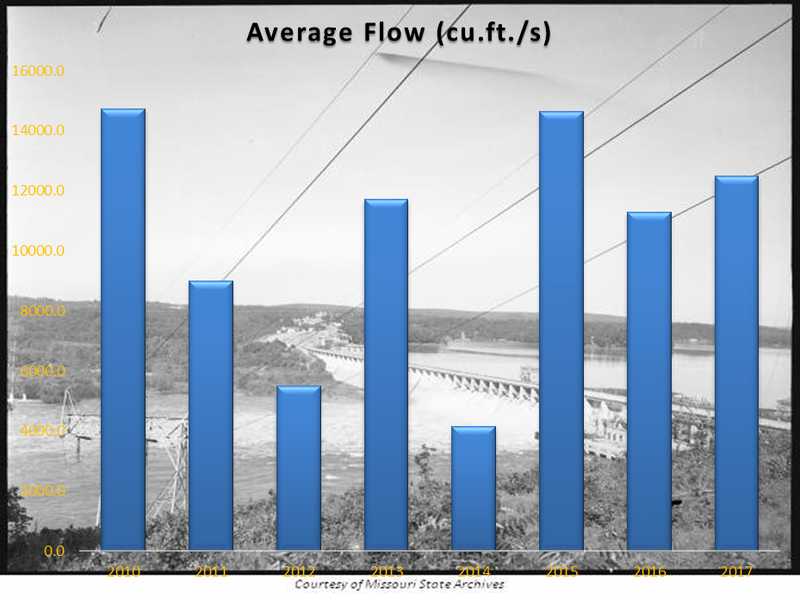 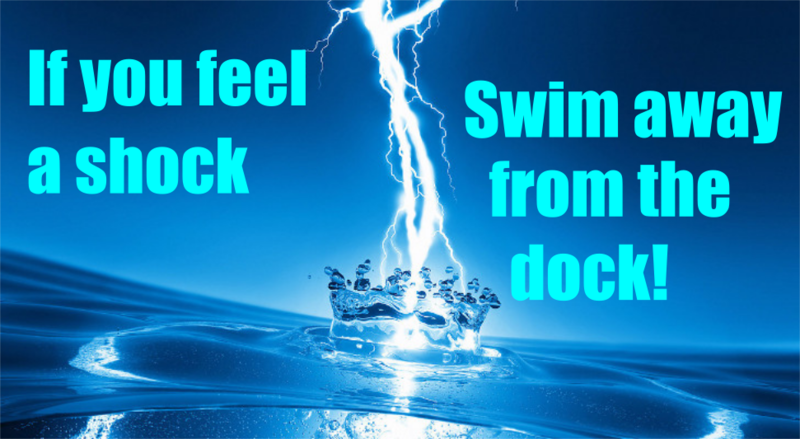 Averaging about 10,500cfs a day is considered sustainable.